The digital divide refers to the differences between people who use technology on a regular basis (technology-enabled) and those who do not use technology regularly (technology-disabled). Van Dijk describes three mechanisms that affect the use of technological resources. These are social exclusion, exploitation, and control. In addition to these three mechanisms, the technology itself may exclude potential users through the application design process. The design method used most frequently relies on convenience sampling of current users. The choices that these technology familiar users make in testing lead development teams to interaction design decisions that may exclude novice users. 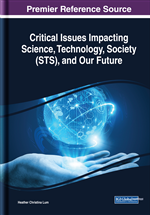 Several theories of technology adoption are reviewed as well as past and potential ways to address the digital divide. Van Dijk (2005, 2006) notes that the inequalities originate with contact with the technology. People seem to either take to it or they do not based on a variety of factors. To compound the issue, Van Dijk suggests that TE individuals use their technological advantage to exclude others (2005). Trolling, restricting access, increasing the cost, or increasing the complexity of the technology effectively discourages TD individuals from adopting additional technology or advancing technologically. Within developed countries, Technology Enabled citizens (TE) in the dominant group embrace technological approaches to government issues for the time savings and convenience. They continue to vote and support the modernization of local government. Van Dijk (2006) describes factors that influence full technology access. These factors include access characteristics, individual characteristics, and categorical characteristics.